Machine Learning is one of the fastest growing trends in technology today. It applies artificial intelligence to give systems the ability to analyze big data, learn from experience, and work without human intervention. Though at first glance it may sound a bit like science fiction, it is actually all around us on a daily basis. Machine Learning is widely used in all kinds of cutting-edge technology, including car navigation, Web search, automatic translation, spam detection, smart cars, product recommendation systems, etc. It is revolutionizing business models and providing new opportunities. 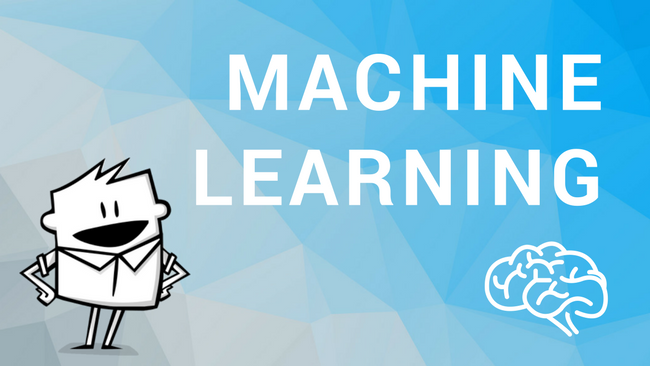 Machine Learning is based on algorithms that can learn and adapt through experience without depending on rules-based programming. This type of artificial intelligence learns as it recognizes new patterns and interdependencies in data, which is crucial in times when businesses are dealing with huge and rapidly expanding volumes of data. – VOD and streaming media recommendations – recommendation systems of services such as Netflix, HBO, or YouTube are powered by machine learning algorithms. They are used to understand viewers’ preferences, and provide them with the most appropriate propositions on the basis of the shows they had watched earlier, and all the other data about their traits and tastes. – Car navigation – Machine Learning is employed in car navigation to help drivers bypass traffic jams, predict travel time, and select the best route. In order to give drivers accurate and updated information, car navigation software constantly gathers and analyzes large amounts of data on current traffic and congestion. – Web search engines – Machine Learning is used in search rankings, query classification, spelling suggestions and corrections, spam detection, page classification in Web searches. This allows users to see the most appropriate results of their queries. – Media monitoring – systems such as iPresso Marketing Automation employ Machine Learning to conduct sentiment analysis of online data. This means that the system is able to detect whether an article, post, or comment found online has positive, neutral, or negative tone. – Automatic translation – solutions such as Google Translate are improving the quality of their translations by using Machine Learning to better understand not just the particular words, but whole expressions, and fragments of a text, by putting them into appropriate context. All of these solutions are based on data acquisition and analysis, on the basis of which specific activities are undertaken. What’s important, they are able to identify complex patterns in huge amounts of data (related to e.g. routes chosen by drivers, specific vocabulary of a translated text, connections among various Web search results), and understand various types of interdependencies that allow for more and more effective and precise operation. Such intelligent, self-learning systems allow us to automate work in many sectors of economy, while at the same time saving employees’ time and energy. In fact, the possibilities of using this solution seem to be unlimited – machine learning is already employed by financial analysts, companies making autonomous cars, stock market players, and even astronomers.